In 2013, the couple who commissioned the renovation—Tatsumi Terado and his wife Hanae—talked to CNN about their home. 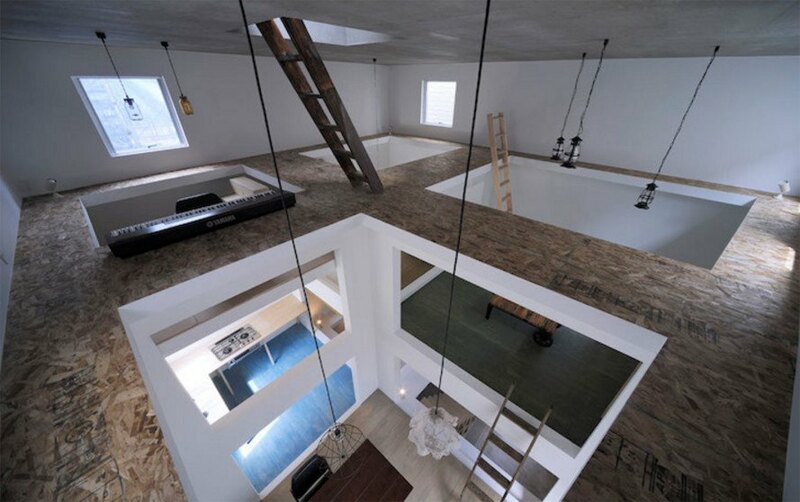 Responding to the absence of interior walls, the gaping floor plates stabilized by a series of three dimensional columns, the couple said they felt like they were getting in better shape because they had to be as nimble as a ninja to access the various floors. A few years down the road, they will probably be black belts! 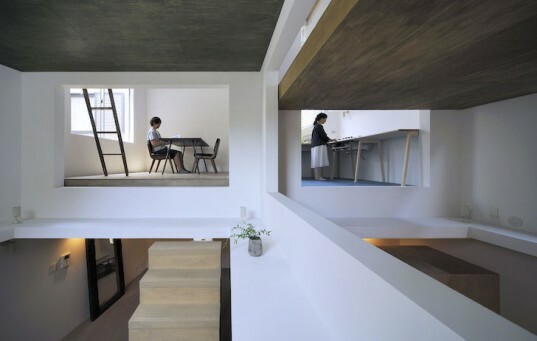 House T is the name Hiroyuka Shinozaki Architects gave to the project. A regular feature on Inhabitat, the studio notes that hanging lights illuminate all levels of the house, though the absence of walls and the cavernous interior optimize natural lighting and foster natural ventilation. Other functions are built-in to achieve the kind of superior space management the Japanese have mastered. We need more ninja houses in America! Wow, hope they don't drink too much sake..